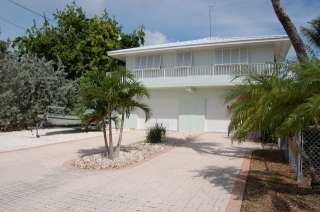 Accommodations: Single Family Residence, 3 bedrooms 2 baths up and a 1 bedroom 1 bath down. 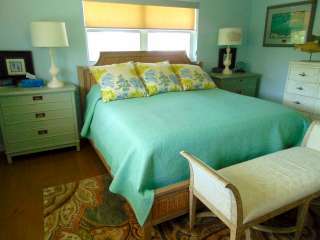 (sleeps 8). 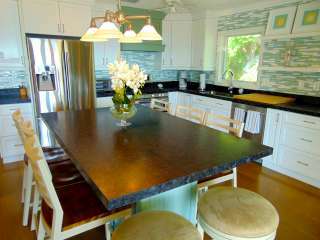 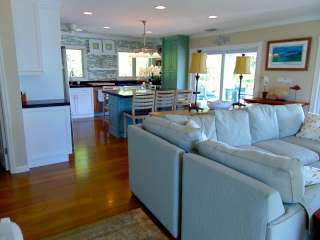 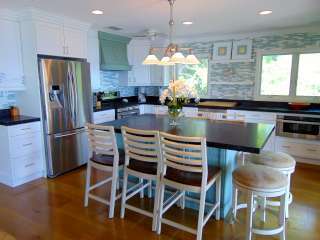 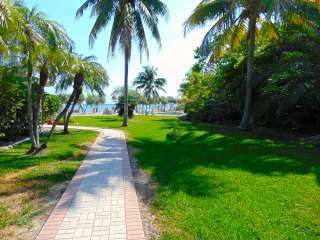 The breathtaking sunrise and amazing bay views with lush landscaping on 2 lots for your privacy. 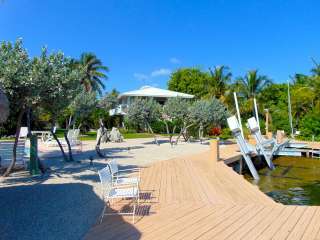 Fenced backyard, your own Bay front RETREAT. 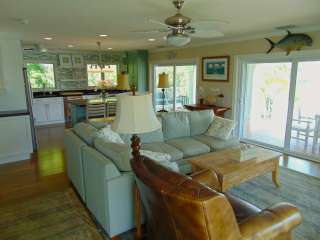 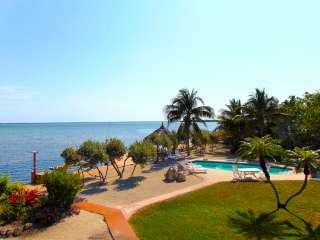 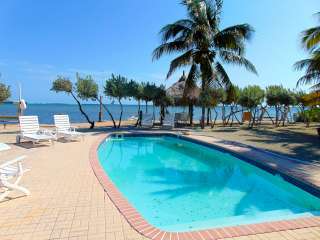 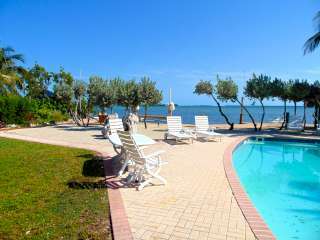 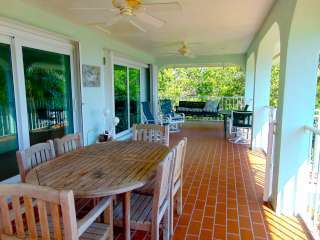 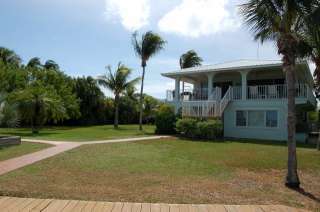 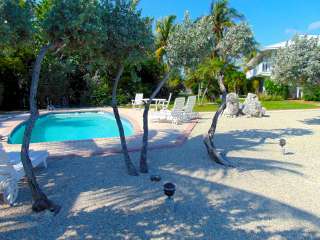 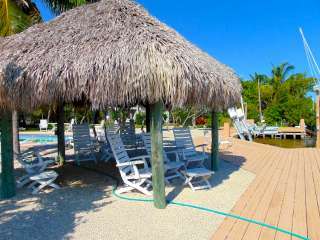 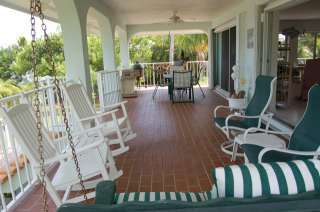 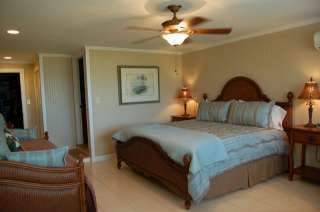 Located in Doctors Arms, Big Pine Key with great boating access to Bogie Channel. 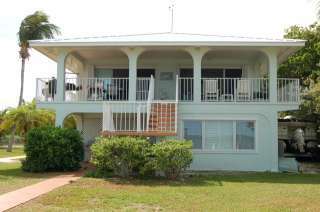 Enjoy the open floor plan, covered & open decks, tile floors through out. 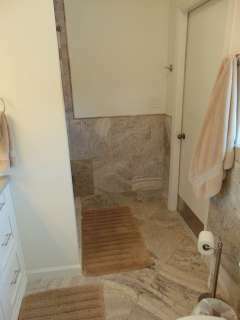 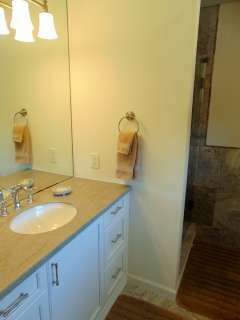 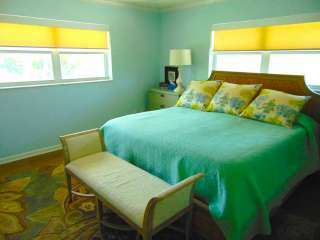 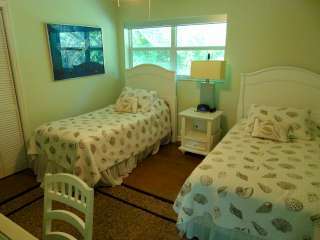 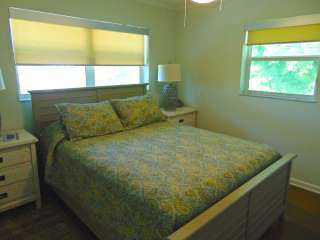 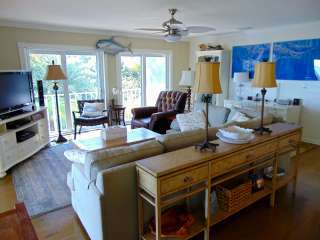 Master Bedroom, king/TV/private bath, guest bedroom, queen, quest bedroom, 2 twins, Guest bedroom, King/TV/private bath/sofa. 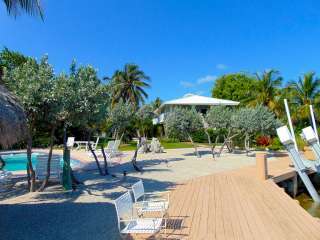 Relax the day at your private bay front heated Swimming POOL. 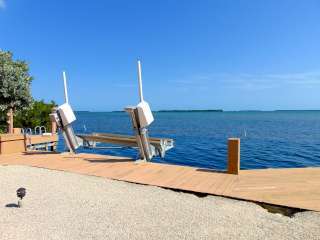 Plenty of boat dockage for your water toys. 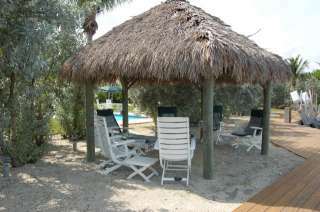 Sit out under your Tiki Hut enjoying the water views or just enjoy reading a book. 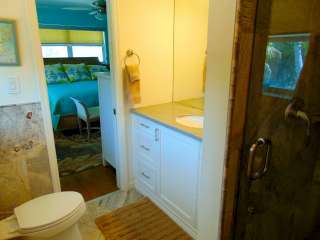 Easy access to backcountry and oceanside!